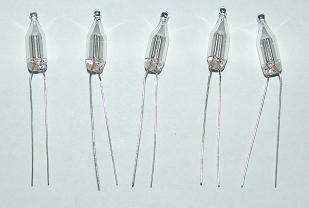 5 Neon Ne-2 Bulbs Used with Bedini Monopole Energizers. Home > Electronic Parts > 5 Neon Ne-2 Bulbs Used with Energizers. The neon lamp provides a path for the output energy in case the receiving battery is disconnected while the motor is running. This prevents burn-out of the transistor. The light should not go on unless the output battery is disconnected.